Pat Listach recalled his lowest point as 1994, according to The Milwaukee Journal Sentinel. Knee injuries meant the American League Rookie of the Year winner from only two years before got into only 16 games. But he fought back from that and returned to significant time with the Brewers in 1995 and 1996. Now, in March 1997, Listach looked for a new start with the Astros. "My knee hasn't felt this good since the summer of '93," Listach told The Journal Sentinel. "I've been running just about every time I get on base." Listach's Astros career ended up being limited. He got into 52 games and hit just .182. It marked the end of his playing career, but he has since gone on to stay in baseball as a coach and manager in the minors and also as a coach in the majors. Listach's career began in 1988, taken by the Brewers in the fifth round of the draft out of Arizona State University. Listach started at single-A Beloit. He made AA El Paso and then AAA Denver in 1991. In 1992, Listach made Milwaukee. Listach originally wasn't even supposed to be in Milwaukee in 1992. By July, he had himself in the Rookie of the Year running by hitting .293 and stealing 29 bases, according to The Milwaukee Sentinel. "It's totally erroneous," Brewers manager Phil Garner told The Sentinel in defense of Listach, responding to a report that Seattle hurler Dave Fleming had the inside track. "They're obviously not checking the Milwaukee box scores. That takes nothing away from Fleming, but you have to recognize what Listach has done." Listach ended the year with a .290 average, 54 stolen bases and the Rookie of the Year award. "I didn't set any goals," Listach told The Associated Press after winning the honor. "I didn't even expect to be here this year." Listach returned for his sophomore campaign in 1993. He got into 98 games and hit .244. His knee injuries then limited his play. He didn't get extensive playing time again until 1995. He played in 101 games that year, but hit .219. He got into another 87 in 1996 and hit .240. He still stole 25 bases that year. He then moved to Houston and played his final big league games. 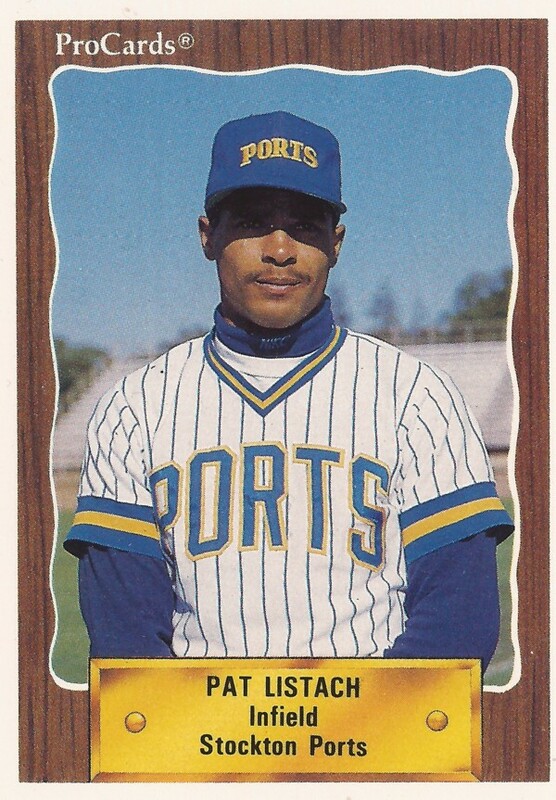 His final pro games came in the minors in 1998 with Cleveland and Philadelphia. By 2000, Listach had started his coaching career. He served that year as hitting coach for single-A Lansing in the Cubs system. He then spent five seasons as hitting coach at AAA Iowa, staying in the Cubs system through 2008. He returned to the majors in 2009 as third base coach for the Nationals. In 2015, he served as manager at AAA Tacoma with the Mariners. "Baseball is what I know and what I love," Listach told his hometown Baton Rouge Advocate. "Fortunately, I've been able to do what I love for almost 50 years, and I realize how fortunate I am to be in that position."